Do you have a team meeting on a regular basis? 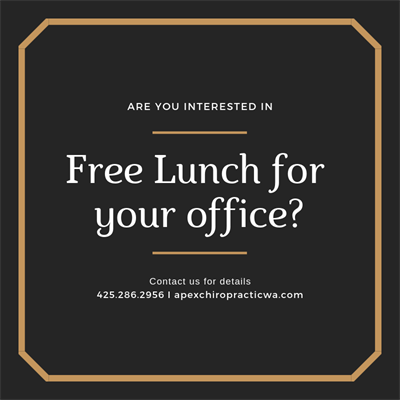 We want to come to your office, bring you breakfast or lunch, and get to know you! 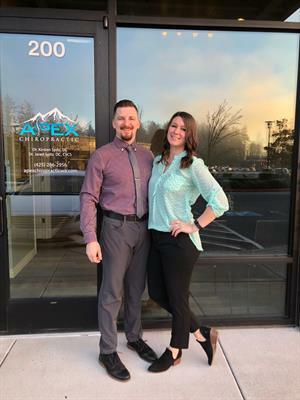 We will take only about 10-15 minutes of your time and also let you know about our office, our doctors, and our plans to set roots down in this community. Interested? Call 425.286.2956 or email apexchiropracticwa@gmail.com with a subject line of "lunch and learn".